Should I hire a moving company or just do it myself? This is a question that people moving wonder over — and like most decisions, the answer is different for everyone depending on various factors such as money, difficulty, time, and complexity of the move. If you’re moving across town, a self-move may make more sense than if you’re moving across the country. Still, to ensure you’re making the best decision, it’s a good idea to consider all the moving options. Consider whether do-it-yourself moving is really a cheaper alternative to hiring professional movers. If you are moving over a long distance, calculate the cost of travel which includes gas, meals, tolls, lodging, and so on. Also add into the calculation the costs of renting a vehicle large enough to haul all your belongings, insuring valuable possessions, hiring additional moving help, etc. Then get some moving quotes from professional moving companies and decide how the moving costs compare with self-moving. If professional movers will cost you more money, ask yourself if it’s worth the decrease in stress and hassle. You might find it’s more beneficial and worthwhile to hire professional movers. However, if you decide it makes sense to take on a self-move, be sure to examine all the details involved — and good luck! If you are relocating your one-bedroom apartment across town or across state, it’s probably just as easy to gather some friends to help you pack and load the vehicle. This is sometimes cheaper than other moving services. However, you will be responsible for all the muscle work, including loading and unloading the heavy furniture and appliances at the final destination. However, if you have friends and/or family willing to help with your move, you have a couple options. You can save some money by renting a large vehicle such as a van or even a trailer to attach to your car or truck. Remember to carefully consider the distance of the move since driving a moving van or truck can be stressful if you are inexperienced at driving larger trucks or pulling a trailer with your vehicle. If this doesn’t sound like something you care for, there are combination moving services available such as the self-moving services where you pack and load the moving truck and the professional movers do the driving. This saves you the hassles of traffic and steering the large vehicle, while still giving you the comfort of knowing who is doing the packing and loading of your personal belongings. 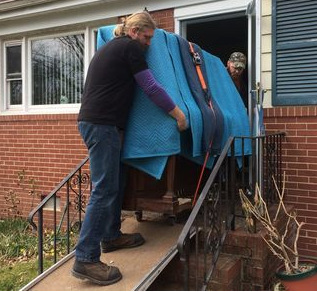 There are several reasons to choose professional movers over do-it-yourself moving, not the least of which is the fact that professional moving companies can save you lots of effort, time, and hassle/stress. If you are moving a 3-bedroom house clear across the country, you might want to consider going with professional movers. While it may appear that hiring full-service movers is more expensive, you might want to also take into account that doing it yourself may require you to miss work and quite possibly a large chunk of your paycheck. Hiring professional movers will free you of the hassles of planning, packing, loading, driving and unloading, and thus allowing you to concentrate on the more important issues on hand such as making sure you and your family settles comfortably in your new town. It is also important to remember that your personal belongings are important to you, regardless of their worth. While you may take every precaution in packing and loading your furniture and fragile items, you are not nearly as skilled and experienced in these as professional movers. 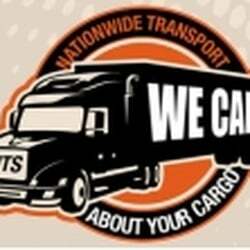 These movers do this for a living and are quite skilled in handling your personal belongings. Should something happen to your items, the professional movers will be responsible. However, if you should damage your items while moving yourself, you have no alternative recourse.